GATE 2019 Score Card, Results Download from gate.iitm.ac.in: The Indian Institute of Technology, Madras (IIT Madras) has released the scorecard of Graduate Aptitude Test in Engineering (GATE 2019). The GATE 2019 scorecard has made available on the official portal of the exam - gate.iitm.ac.in. The candidates who appeared for the 2019 Graduate Aptitude Test in Engineering can visit the official website to check and download their scorecard. 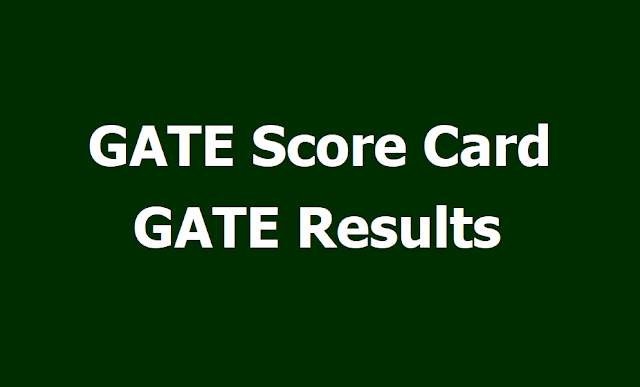 The official notification on the website of GATE - gate.iitm.ac.in, reads, "The official GATE 2019 Score Card can be downloaded from the GOAPS site between March 20, 2019 and May 31, 2019 by the qualified candidates only." Hence, the candidates are advised to download their GATE 2019 scorecard on or before May 31, 2019. Once the GATE score card download deadline is crossed, the candidates will have to pay a fee of Rs 500 for downloading the GATE score card 2019. The IIT Madras had announced the GATE 2019 Result on March 15, 2019. The score of the GATE 2019 exam is used for admission to various engineering courses. The scores of the GATE 2019 exam is also used for various recruitment.